The mercurial AB De Villiers will not be able to play against India as he has injured his knee badly. This unfortunate incident happened during the fifth ODI between India and South Africa. Now due to this injury, he will not take part in the T20 international series. The blow came to his knee while he was batting in the ODI and he never knew this blow would take this chance from him. The Cricket South Africa medical team has suggested a complete rest and rehabilitation until his knee is absolutely well. Next month the team has to play against Australia and hence he needs to recover his injury before that. Although it is still unknown that how long this bruise will be De Villiers away from his game but for now he is definitely sidelined. His availability for the four-match series against Australia remains dicey. Injuries seem to have plagued South Africa and have been responsible for its loss in the subsequent matches. In the test series played in January, the country lost its pacer Dale Steyn. This player returned after a year break from international cricket. Still, the host country marked a win by 2-1 in the test series. 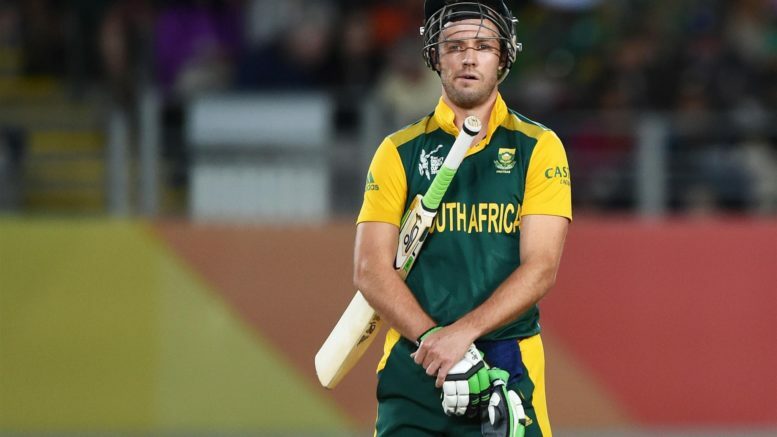 In the ODI matches, South Africa lost AB De Villiers for the subsequent matches and during that the country lost its captain Faf Du Plessis and the wicketkeeper Quinton De Knock. These mishaps resulted in the loss of the country against the wanderers by 5-1. Be the first to comment on "AB De Villiers Out of The T20 Series Against India"